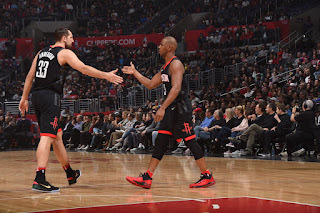 What began as a fairly standard game for the Houston Rockets, and potential revenge for their loss to the Los Angeles Clippers on December 22, slowly turned into chaos. It was a miserable, painful loss to a team they have no business losing to that ended up as so much more. It was a flame-out and a conflagration. The game was bad. Let's leave that in the past. The big story here is that the players on these two teams clearly bear animosity. Patrick Beverley is out for the season, but Sam Dekker, Lou Williams and Montrezl Harrell were all part of the package sent out for Chris Paul over the summer, and have good reason to be out for a bit of revenge. That's a normal NBA phenomenon, excepting the massive abnormality of Lou Williams' recent scoring tear. The bad blood between Chris Paul and Blake Griffin, however, seems to run much deeper. As the game wound down and the Clippers held onto a double-digit lead, Blake Griffin was involved in multiple incidents. Before it was over, Griffin, Gerald Green and Mike D'antoni all picked up technical fouls, including en ejection for Griffin. Trevor Ariza tore apart Griffin's tights. Griffin hurled the basketball at Eric Gordon's back. Mike D'antoni screamed obscenities at Griffin mere feet from the referees. Fights nearly broke out and the end of the game was utter chaos, with players jawing at each other. There was no love lost and the Clippers clearly felt a bone-deep drive to humiliate Chris Paul and the Rockets. And then things got heated. Minutes after the game, reports suddenly began appearing on social media of security being called regarding the Rockets. After some initial confusion, the actual story shook out, and it honestly beggars belief. 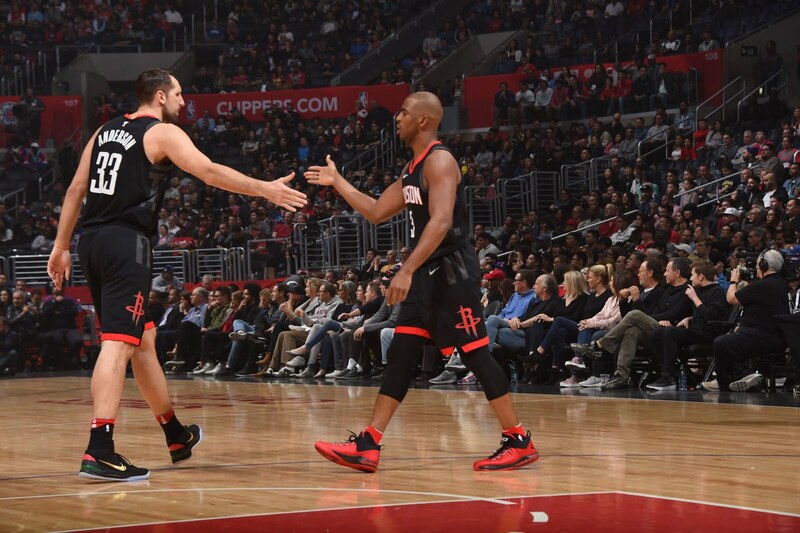 Reportedly, Trevor Ariza, Gerald Green and James Harden used a connecting tunnel of some sort to enter directly into the Clippers locker room in order to confront Austin Rivers and Blake Griffin. This is the sort of outcome that's fully unpredictable before the moment it happens, at which point you realize nothing else could ever have taken place. The assumption is that suspensions or other disciplinary action will be levied by the league, but nothing can change that this is a real event that actually happened. The level of disgust between these players is palpable. Meanwhile, Mike D'antoni was answering reporters, and claimed that Blake Griffin actually shoved him during the game, leading to their shouting match. There's no way to know what exactly the motivation of the Rockets players was, but there's plenty to choose from. This went from an embarrassing game to a full-on showdown and infamous moment of the season in a matter of minutes. These two teams meet again on February 28th, a game which should be appointment viewing, but will almost certainly disappoint in the way that most events do. The NBA has few actual, venomous, seething rivalries, and tonight it seems that a new one just reached maturity.